Now, reader, please do not ask me why the title, I have no idea. I had no idea and no title, and now I have no idea, but at least I have a title. It's magic. Anyway. I know I have already done so in a previous post, but today, I want to tell you about Dr Who. Last time was some time in January, and at the time, I said "No matter what Englishman he's played by". HA! How terribly Naive of you, January's Claire! You knew it even then, poor you, if not played by David Tennant, why should anyone care about Dr Who?? I don't know if you've ever watched an episode of Dr Who, reader, but if you have not, please, do, for my sake. Especially if you are French. Do watch Dr Who, so that I am sure that season 4 will be broadcasted in France like seasons 1 to 3. Well, I should not really attempt to number the seasons insofar as the series actually started in 195o-something (I don't really know when it started, but it was a long time ago) so the numbers must be even more confusing than those of the pre-sequels of Star Wars. Four, five, six, one, two, three, put these numbers in the right order, you might win a trillion dollars! Whatever. Anyway. Where was I... ooh, yeah, Dr Who. David Tennant. Brillant. The series is extremely lame, and I do not watch it for anything but the dialogues, the occasionnal appearance of Giles (I KNOW he's not called Giles in real life, but at least, you know who I mean, and Anthony Stewart Head doesn't sound so good if you ask me), and of course, David Tennant's big eyes and daft smile. Makes me make faces all alone in front of my TV screen. Makes me make faces (just like Jason Mraz) when he's heartbroken and I'm alone in front of my TV screen. Makes me make faces when he's happy and I'm alone in front of my TV screen. I don't know why, I just find his character and the whole series incredibly moving. Like, you still think about it the following day, and you imagine how cool it would be to be allowed to actually meet the Doctor... Fat chance of that ever happening. But hell... If I ever wrote a book, the main male character would be based on David Tennant as the Doctor. Hint of Scottish accent included. (By the way, I would be interested to know why a Time Lord come from the end of the galaxy would have landed a Scottish accent. But I like it in any case) If I ever wrote a book, which is extremely unlikely to happen. And if it ever does happen, I'll probably have forgotten about this post. But if I had to write a book today, well, the main character would be based on... you see what I mean. Oh, and let me insist on the "based on" because I'm not one of those crazy fan-fic writing fans... He'd just be like the Doctor. Besides, I think writing the pitch of an episode of Dr Who could be achieved by a seven year old. Because, just like Russel T Davis (the actual writer of Dr Who), seven-year-olds have brilliant ideas and a lot of imagination, but then they get carried away, and their parents come over to take them home, and they need a sonic screwdriver to save the day in less than a minute. Russel T Davis's parents have been replaced by the 40 minutes' format of today's series, but you get the idea I'm sure. Not much to tell you about what's up in Saarebrücken, really, except there's a German guy playing Greensleeves on the bagpipes at my window. Germany's mourning the loss of the European Soccer Championship. No use playing the bagpipes now, stupidhead! It wouldn't have happened had Oliver Neuville been on the field!! They should have called ME! Ooh, my, we seem to have a situation here, he switched to Amazing Grace... I have to get away! I watched Crash today and I loved it and loved it. It's got to be the best movie of its kind that I have ever seen, and honestly, I think it might be one of the best movies ever shot. I should not sound too enthusiastic, in case you have not seen it, because otherwise you're bound to be disappointed. Though honestly, I hardly see how one could not love it. It was directed by Paul Haggis, who's a famous screenwriter, and it's mostly about people in L.A. and how they deal with racism. It's a story of many characters, whose lives are changed by bigger issues, and about how they deal with it at their own little level, and how they all are, in a way or another, connected to one another. You've already seen the movie, and it was called Babel? I see what you mean. People are doing that more and more, and I always love the idea and mostly love what comes out of it. But Crash came first, and it's by far the best of the results (if you ask me. Which you did not. But I'm still telling you). 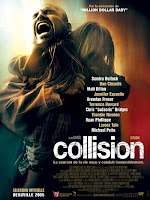 People will tell you about the scene with Thandie Newton and Matt Dillon and the burning car, and it is one of the best scenes of the movie, but it's got so many high points, it would be just about impossible to talk about them all, or tell you which of the stories touched me most, or which moment I prefered. The great thing is how believable all these people are. It makes you live the story through the eyes of many many people, and it make you see the story from sides you would never have explored otherwise, and honestly, I don't understand how a Scot can have written that all by himself. He's a genius, if you ask me. The movie's genius anyway. If I had one little thing to say against it, it would be... but no. I'm not saying it. Maybe if you're watching the movie for the first time, you don't see it, so I'll just shut up and give my opinion to people who've seen the movie already. If you know me, I'll lend it to you, and if you're Fren ch or Belgian, you can go to the Fnac, the DVD only costs 10€ this week. Oh, and you get 3 DVD for 20€. I bought Casino Royale (the shoooooower sceeeeeene *_*) and also Children of Men to make it three (the flip-flop sceeeene °_°). Maybe I'll tell you about Children of Men in a later post. Maybe when I have checked I have not already told you about it. I'm not so sure anymore. Whoa, this blog's getting out of hand! This blog's becoming the USB stick of my brain!! Besides that, there's not much to say, started this post with a masterpiece, ended it with "Claire's clever shopping tips", I guess I'll just go to bed now. Puh... Oh, and I did not tell you about my interview yesterday... Well, here's a picture of Jean Pierre Jouyet, if I may give you just one tip in life, it would be to Wikipediate his name. PS: If this post looks ugly and the paragraphs are all cranky, please do not resent me, I'm doing my best, but Blogger has an html sickness tonight. Get well soon, Blogger! Hey reader! I'm stressed out! I'm stressed out! I wish I were another person altogether! I ate three dinners alone in my room (yeah, somehow, my brain's on vacations tonight, I guess it must be collecting some extra energy for tomorrow), one of which included raw carrots (yeah I know I sho uldn't complain, I'm just plain silly...). Now I'm pukey and I sneeze and I look like one sick rabbit. But well, it's going to be much better by tomorrow. I might even decide to go jogging right now, in order to spill all that extra brainless energy, and since I already look like crap, I guess being also red in the face and sweaty wouldn't hurt much. Oooh, this post must be the most terribly self-pitying I ever wrote! Sorry, reader! What I really wanted to do, though, was answer a mail-thing my sister Marion sent me (well, not quite, but I don't have time to explain, if you want to know where it comes from and know how to speak French, click here. Here's what's in my book, page 123, 5th sentences. Hope you like it. 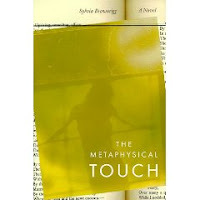 The book's name is "The Metaphysical Touch", by Sylvia Brownrigg. It's real good, and just like the idea behind the good part of this post, comes from my sister Marion. "Your mother has told you all this to lead up to her point, which is that your father, bless him in spite of his absence, would in no way approve of what you're doing now. Thinking about ending it -Why, that's ridiculous! He would never stand for it, not for a minute. And yes, your father had feet that moved too far and too fast, but that is no reason for you to allow yours to freeze into place now and give up. You think that's smart, to react against him by doing the obvious? You think suicide is such a new idea?" Well, here you go. Sorry, reader, I think we got unlucky with both the book (tis good, but inappropriate...) and the passage... Now this post looks worse than ever. Anyway. I'll be going now, I think it would be much better if I just focused on African rivers and the Time!! Have a nice evening! Maybe I'll tell you how it went!! Wish me luck! Well well well, reader, I thought I'd wait some more days to write this post, and then I thought I'd write a post about something else, but now I've just watched another episode, and I just figured I should write this post right now. Time to tell you what I'm talking about maybe? I'm talking about How I Met Your Mother. No not yours, reader, come on, make an effort. How I Met your Mother is an American TV show. The pitch? Some guy is telling his children about how he... ? Yeah! Met their mother! Glad to see you're following me. So the whole series is built like a giant flash-back or something, and you meet new people every episode or so. The guy's name is Ted, and he's the most basic nice guy you'll ever find in a TV series. He reminds me of the Dawson's Creek series, (only Dawson's Creek was pretty lame, what with all these teenage kids giving speeches that must have been written by cheap shrinks... you need to get into rehab/the university, darling/my son/granny, being on coke/an alcoholic/a teenage mother is not going to make your father-son-boy-girlfriend care more/make your mother come back/win you Dawson's heart/make you pass your exams/help you deal with your homosexuality), insofar as he overthinks everything (Ted does, sorry about that, a new parenthesis crisis), and you can hear his thoughts (Ted's thoughts. Sorry). Only it's really funny. It's a bit of a mix between Friends and the cute sides of Dawson's Creek, only they're not teenagers, and there's Alyson Hannigan in there too, which reminds me of how cool she was in Buffy. I really need to figure out what it is about romantic comedies that make me feel like that. I mean, I've seen so much of them, I should resist their engiggling power (I do know it's not a word, but hey, I'm sure you see what I mean. Don't pretend! I won't believe you if you do!) But I never can! I always fall in their trap and feel giggly, and then I cry in the end. Especially if I am alone, like tonight. You know, I was even known to cry during a 7th Heaven episode when I was alone. Though I despise 7th Heaven as the single worst TV series ever shot. YES, reader, worse than Smallville. Patronizing and know-it-all and intolerant. Bak! Anyway, I wasn't talking about 7th Heaven, thank God (ha ha ha) but about How I met Your Mother. Besides, I've been watching the whole thing in English, and it's really easy to understand, no weird accent whatsoever. So well. If you get the chance... watch it in English though, because I watched an episode of the dubbed French version and found it really stupid. Well, I'm getting hungry now, so I'll go cook some pasta! Pasta time! Oh, and here's to my friend H who first told me about the series! Have a nice evening, reader! 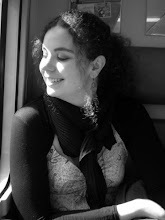 New update from Saarbrücken where I am starting my second week as a translator! Things are going fine for me here, though I am a little bored in the evening (which means I'll be telling you about new series I am watching pretty soon...), and the job is getting more and more interesting everyday, except for today when the USV-system crashed down... don't know what it's called in English (though it's probably USV too...) but it's supposed to protect your computer against power surges. Only I did not quite understand what the computer guy told me, but you're supposed to unplug the damn thing before power cuts. I also spent my time here (or at least the little time I spent not in the office and out of home (i.e. mostly in the bus) discovering a little more about the German culture. Because although I have been living less than 50km from the German bordure for most of my life, I have never actually spent any real time in Germany at all. Surprisingly enough, really, it is a lot like Austria here, and the more I see, the more I feel I have more Germanity about me than I care to admit when people say "oh, you're from Alsace, you're German..." My reaction is mostly extremely annoyed then, but I just have to say, it is true that we Alsacians have very German characters. For example, our idea of politeness is the same I think. Anyway, my idea of politeness. I think that's why people think Germans (and the French too, I think) are so cold: we people like to leave people alone. It is more polite to let them decide wether they want to talk or not, so we do not start a conversation, but answer with a smile when someone tries to do so. Unlike the Anglo Saxons, supposedly, who think it's more polite to make strangers feel welcome. On the one side, they feel at home and lonely, on the other, they feel welcome. I don't know, it's up to you to make your choice between Graz and Dublin! I have also been able to notice that cashiers are just as terrible here as in Graz: I don't know how regular people manage to stuff everything in their plastic bags before running away here, but I am not super-Greta yet and I NEED more than 30 seconds to pack everything in bags. Please, cashier, if you hear me, do not look at me with those evil eyes. I am but an innocent creature, looking for means to feed myself. Mostly vegetables. I'm in Saarbrücken Germany right now, enjoying the luxury of being back home to my "regular" French keyboard. I love my regular French keyboard, but I have to use the German one at work, since my laptop's, sadly enough, not equipped with the proper software.... Anyway. Saarbrück is pretty cool, the job is really neat and absolutely perfectly suited to my studies (I'm working as a translator in a translator's office, guys!! I really do!! The real deal and all!!) and I'm very happy with my bedroom, which is wide and well lit and has got a bed, which is the main thing. It's a little lonely here for the moment, since all the people in the university are sitting for their exams right now (are the Germans crazy, or what?? Exams in June? Official end of the year in July??? What is the Human Right's League doing? ), but I survive, thanks to MSN and the return of my blogging frenzy. Anyway. It's getting late and I've got to go to work tomorrow, so I'll just leave it at that, but I'll come back soon with thrilling news from my German life!! PS: And here's my new friend Eric le Basilic, only he's upside down. he's going to die soon anyway, but I still wanted you to meet! !